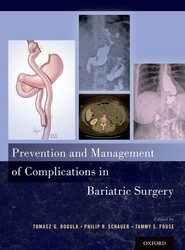 Prevention and Management of Complications in Bariatric Surgery is the first book to compile the most up-to-date prevention and management strategies and techniques in the field. 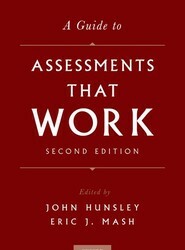 Edited by leading experts, it provides sound recommendations for collecting, monitoring, and analyzing outcomes, with an emphasis on quality and process improvement. This book is a valuable resource not only for bariatric surgeons and surgical trainees, but also physicians and nurses who participate in the perioperative care of the bariatric patient. This volume addresses the assessment of the most commonly encountered disorders or conditions among children, adolescents, adults, older adults, and couples. Strategies and instruments for assessing mood disorders, anxiety and related disorders, couple distress and sexual problems, health-related problems, and many other conditions are reviewed by leading experts. Over the past four decades, the prevalence of autism, asthma, ADHD, obesity, diabetes, and birth defects has increased substantially among children throughout the world. Not coincidentally, more than 80,000 new chemicals have been developed and released into the global environment during this same period. Today the World Health Organization attributes more than one third of all childhood deaths to environmental causes. 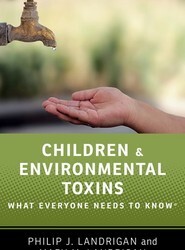 Children and Environmental Toxins: What Everyone Needs to Know offers an authoritative yet accessible question-and-answer guide to the"silent spring" of environmental threats to children's health. As the burdens of environmental toxins and chronic disease continue to defy borders, this book will be an invaluable addition to the conspicuously sparse literature in this area.